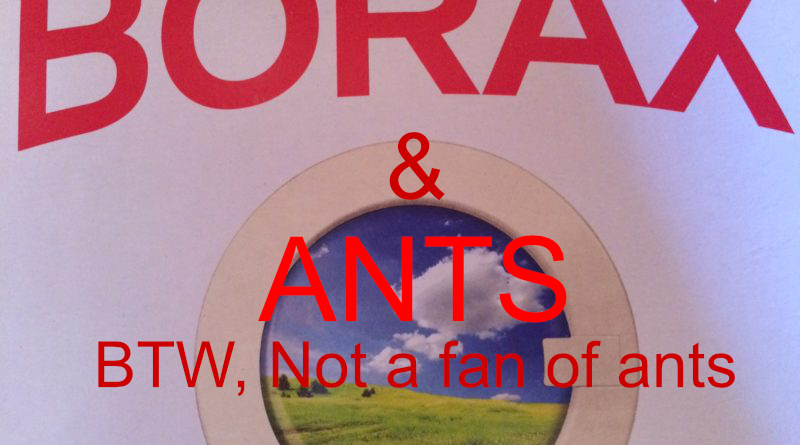 Ok, if you’re like me, you have ant issues in your garden, on your fruit trees, etc…. Its a huge challenge dealing with them. I only had luck with the liquid any bait in the little plastic trays….and geez, it takes A LOT of those things to really make a difference. They dry out so fast, they are really expensive and generally, I just like to figure things out myself. So, my journey began. I started with the most environmentally friendly. 1.) 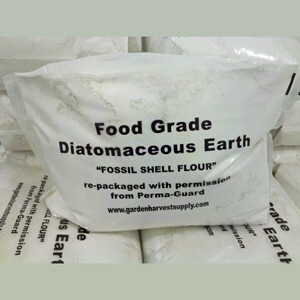 Food grade Diatomaceous Earth. This sort of kept them away for a minute but, they ultimately found ways around and even ultimately, over after some time. 2.) Cinnamon. 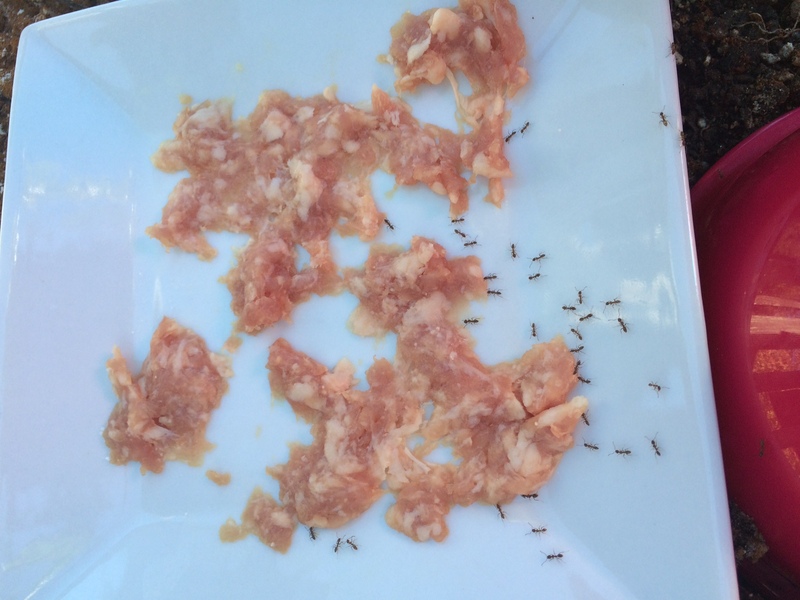 This is definitely a deterrent…but, they are relentless little things and ultimately, this was the same result. Temporary barrier. 3.) Borax/Sugar/water/cotton balls mix. 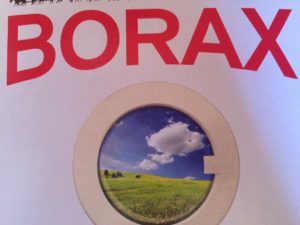 1 cup warm water, 1/3 cup sugar, 1-tablespoon of borax. Mix and let cotton balls soak it up. This attracts them bu, it is really “airy” so, it dries out really fast and there isn’t enough surface area to get at enough ants. 3.) I tried the above with gauze thinking the greater surface are would help. It did a little but not enough. 5.) Borax/Sugar/water mix. 1 cup warm water, 1/3 cup sugar, 1-tablespoon of borax. I just poured a small amount into a container and let it sit. Worked ok. 5.) A took a little ground pork (1 tbsp), sprinkled borax and mixed it… I must say, at this point, I feel like I was grasping at straws. 1.) 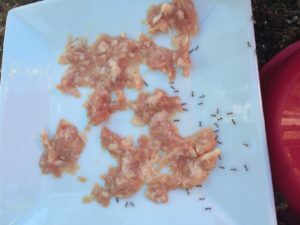 Plastic wrap….didn’t work…almost seemed like the ants were confused. 2.) Parchment paper. This worked fine but, the solution ran off the sides. 4.) 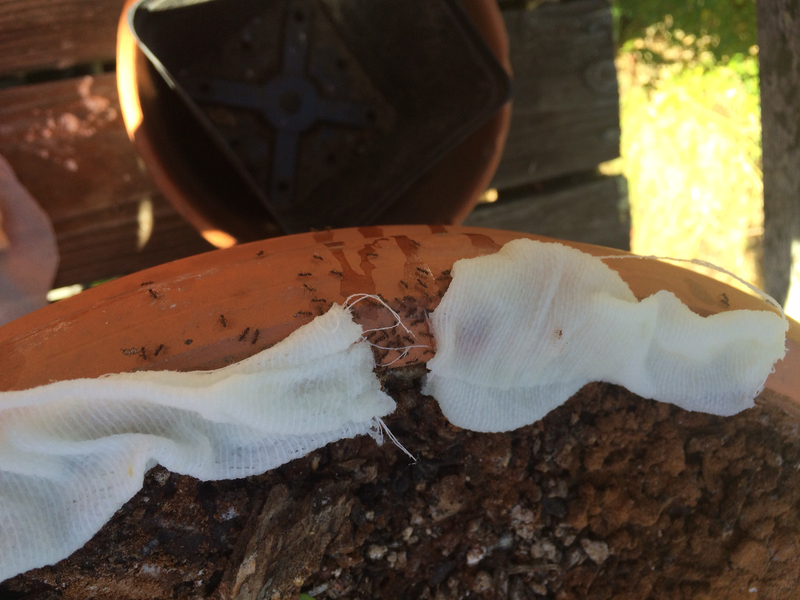 I took a small plastic bowl and turned it upside down (face to the ground) the little circle on the bottom was just enough to hold the solution and also gave the ants a wide area to feed. Long and short of it, I’m still testing…Stay tuned. Really hoping to find a silver bullet. No magical solutions yet. If you know something magical, Please message me.